The Departments of Energy and Transportation commissioned a technical team through Sandia to examine the properties of tight crude oils as they relate to potential combustion events in the rail transport environment. Key objectives of this investigation are to characterize and define tight crude oils based on their chemical and physical properties, and identify properties that could contribute to increased potential for accidental combustion. This investigation was commissioned in response to the occurrence of several well-publicized rail accidents involving crude oil combustion in the US and Canada during 2013–2014, some of which involved loss of life, property damage, and environmental impacts. Adequate characterization of crude oil and especially tight oil is necessary to develop safe and effective processes for its handling and transport. The program to characterize tight and conventional crude oils based on key chemical and physical properties, and identify properties that may contribute to increased likelihood and/or severity of combustion events that can arise during handling and transport includes the work scope given below, which represents a phased approach to developing an improved understanding of crude oil properties and fire science. Task 1: Review and analyze existing and emerging crude oil characterization data. Results of effort to complete this first task were reported here on June 19th. New data relevant to program objectives will be reviewed and used as appropriate to improve the program. Task 2: Sampling method evaluation. Up to five different sampling methods will be evaluated for application to crude oils containing higher concentrations of volatile hydrocarbons. Samples will be analyzed for volatility and composition, and results will be compared to “baseline” data acquired using a mobile lab capable of on-line crude oil characterization. Results will inform the choice of sampling method(s) for subsequent tasks and provide data to support initial equation-of-state modeling efforts. Task 3: Combustion experiments and modeling (concurrent w/Task 2). Pool fire and fireball experiments will be performed to compare tight and conventional crude oils based on burn rate, flame geometry, surface emissive power, and heat transfer to engulfed objects. Dispersion of vaporizing species—pertinent to flash fires and explosions—will also be assessed via computational fluid dynamics. Task 4: Crude oil characterization—tight vs. conventional oil. Previous task outputs will be used to develop a plan for accurate characterization of multiple crude oil types. 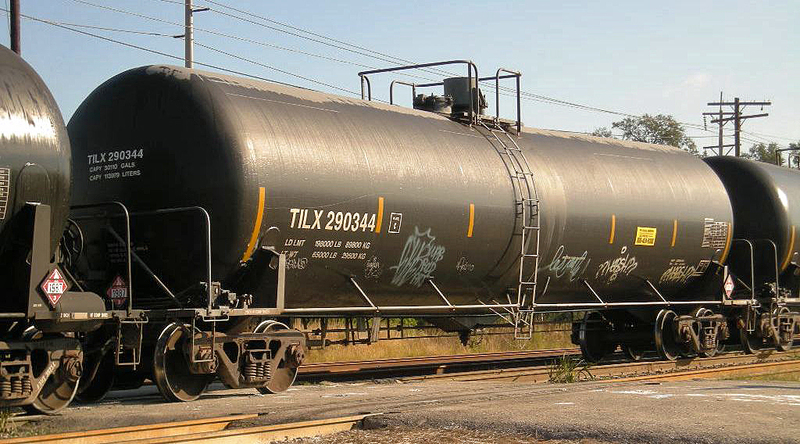 Tight, conventional, and heavy oils will be sampled at rail and pipeline terminals, and comprehensively characterized. This project is being funded by the Department of Energy’s Office of Fossil Energy and the US Department of Transportation.